Cinema of Fear Tiny Terrors: Horror icons that fit in your pocket and glow! Mezco’s new Tiny Terrors will send fun-filled chills down your spine! These chunky 2inch tall mini versions of Freddy Krueger, Jason Voorhees, and Leatherface are ready to jump out of the shadows and into your toy chest. 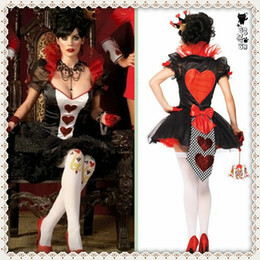 Figures feature articulated parts and are packaged individually. 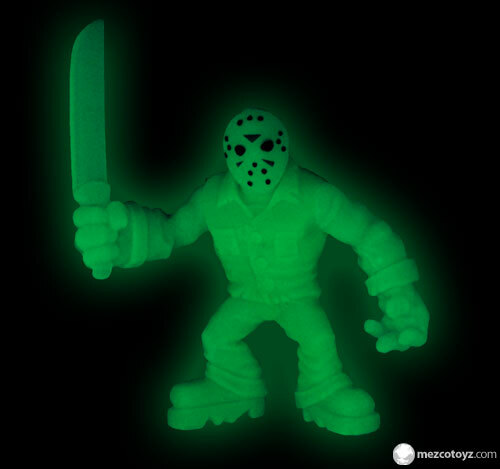 These special Glow In The Dark variants are limited to 666 sets and are only available here at Mezco Direct! 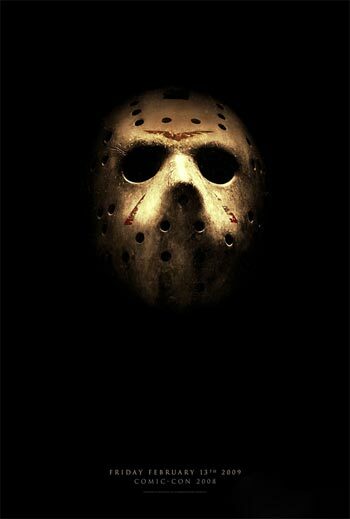 Drowned in Crystal Lake as a child, Jason Vortatertot now seeks revenge on camp counselors, who were off busy pollinating. Wearing a cardboard hockey mask Jason uses the Sideshow Jason 18″ figure bloody machete. Sure Jason has been mashed over and over again, but he continues to bake any potato that comes in his way. 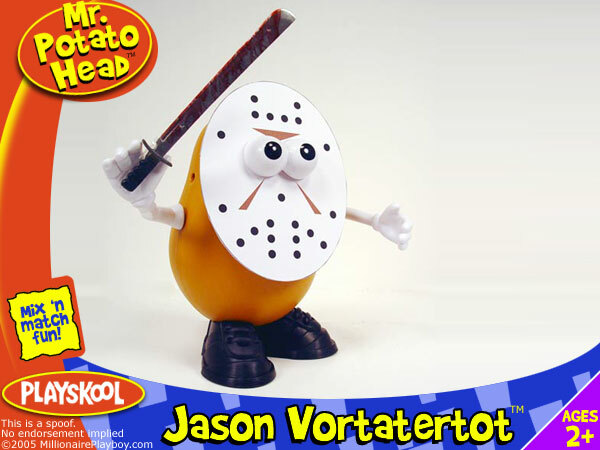 I created this Jason Mr. Potatohead a few years ago. Now with the new film opening today I thought it would be a good opportunity to bring it back. Do you remember the Friday the 13th NES video game? In honor of the new Friday the 13th movie I thought I would share this really funny review done by the Angry Video Game Nerd. The day after the events from Part 2 is where the third chapter begins. I would like to point out that it was really Saturday the 14th, but I guess that doesn’t really matter. 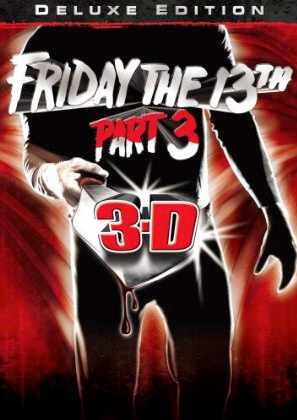 This sequel was also in 3-D! 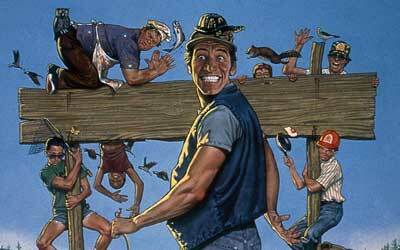 Few people expected the original Friday the 13th to be the runaway smash hit. Of course, when the film was a commercial success a sequel was green-lit. Who knew it would goner lots and lots of sequels?